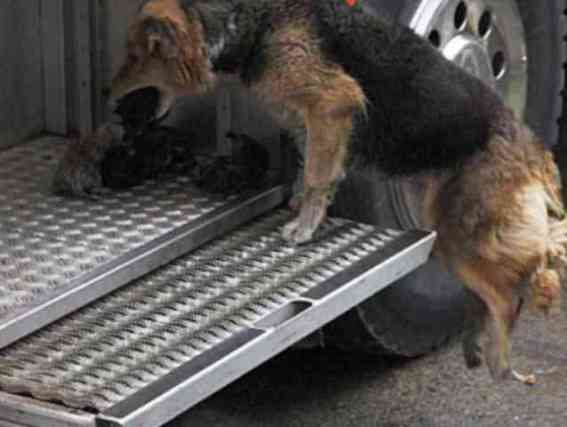 Puppy Rescue: This Mama Is One Hot Dog! returned to a burning house to save her litter of puppies one by one. place than in a rescue vehicle! The home of Amanda and her puppies caught on fire after a car bomb had exploded nearby. 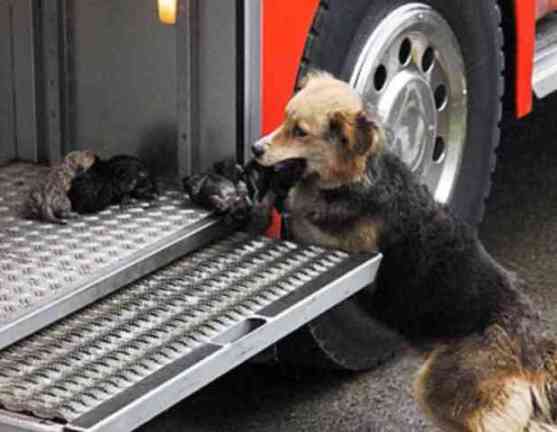 The dog single-handedly (or pawedly) removed her litter of ten-day-old pups from the burning building and lodged them in an equipment cubby-hole on the fire truck. Once she had them all out of the house she crawled into the space with them to continue to stand guard over them. She covered them with her body to make sure that they were shielded from the flames. 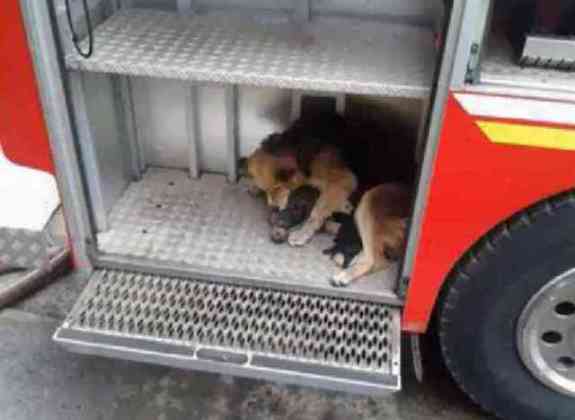 Once the firefighters had doused the flames they took Amanda and her brood to a nearby vet to get them checked out. Amanda was still in protective mode and was reluctant to let anyone near the puppies, even with the best intentions for their health and safety. Sadly, one of the five pups, Amparo, did not make it. He had fallen while his mother was trying to rescue him. This had resulted in severe burns to his mouth and abdomen. Amanda herself and her remaining puppies are in stable condition and recovering.Omar Torres, the dogs' owner, was also hospitalized for the treatment of burns. It should come as no surprise that the name Amanda means love. Go Fetch! The 3 Best Fetch Toys On The Internet!